All week my Facebook news feed has been filled with prom pictures of girls nervously pinning boutonnieres and guys awkwardly poising for the millionth picture of the afternoon hoping his hands aren’t touching something his date’s Daddy will shoot him over. Brings back memories of my first prom. While at a Vanderbilt basketball game winter break of my junior year, bored, I decided to wander the concession area. Back then every 17-year-old in America didn’t have a cell phone so instead of surfing the Internet or texting my friends who weren’t at some lame basketball game with their family on a Saturday night, I figured buying a coke was a good way to pass the time and it just so happened I bumped into a guy who struck up a conversation. Thus began a blossoming romance between myself and this guy, a football player at a local college. A college football player. I knew none of my friends were dating college boys, much less one that was on a football team. I later learned he was on the practice squad but hey, to a bunch of high school girls, what’s the difference. What this boy lacked in conversational skills and brain cells, he certainly made up for in biceps, abs and a flashy smile. He would come down on the weekends for a visit and we’d go out. With prom coming up the first week in April, I needed this relationship to last. I needed to take a college football player to prom. Heck, I just needed a date to prom, football player or nerd. Someone with a pulse preferably not related to me. One of my biggest fears in life up to that point was being dateless to the big dance. Middle school dances had left me completely scarred. This guy was going to be my date to the prom and to be sure of it I was going to be the best girlfriend ever. I feigned interest in his ramblings about plays, tackles, Blue 32, onside, offside, whatever. I made brownies, cookies, and all kinds of treats for college care packages to take back to the dorms. I curled my hair, shined my lips, and wore the cutest outfits every time he came over. And guess what???? HE DUMPED ME TWO WEEKS BEFORE THE PROM. I got out of the truck, walked in the house, slammed the front door, looked at my dad who was waiting up for me and spewed, “Have him killed.” You see for years I’d heard whispered rumors of my Daddy’s so-called mob ties and for that split second I forgot all that I knew to be true and prayed the rumors were correct. I could see why people might think my Dad was a mobster. He was a successful businessman who didn’t take much slack, with his jet black pompadour whooped back hairstyle and reddish olive colored skin, sitting behind his desk in the back office of Kemp’s Foodland meeting salesmen, bankers, employees dressed in silk dress pants, a starched pressed collared dress shirt with matching Italian leather shoes and belt wrapped in a swirl of smoke from the Salem cigarettes lit one right after the other back before we knew anything about COPD and second-hand smoke. He certainly had that mobster air about him but unfortunately for me mobster he wasn’t. Fortunately for that scoundrel football player, Daddy was harmless. Moma, on the other hand………. 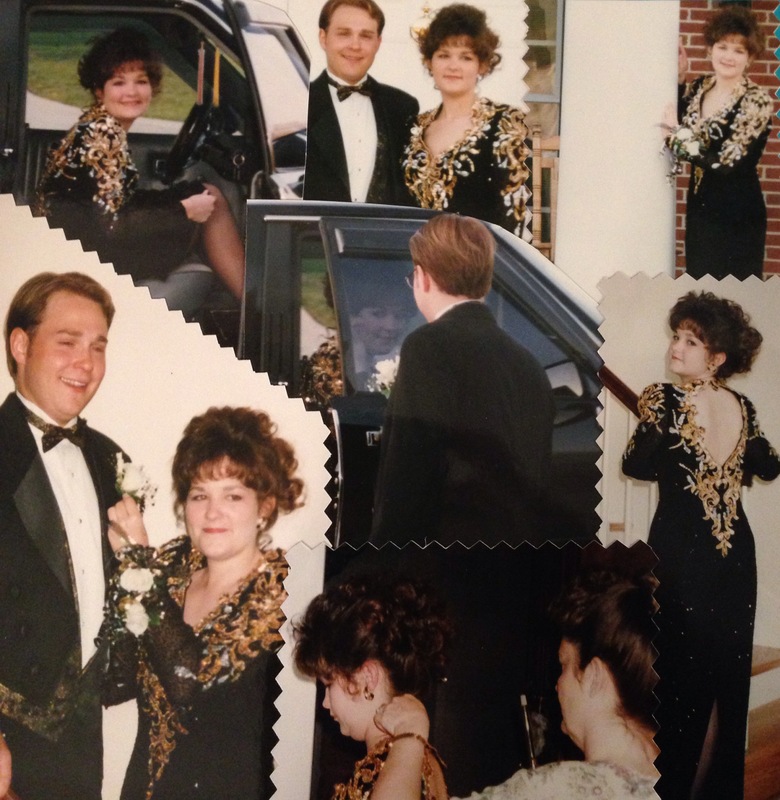 I ended up persuading my good friend Bobby into going with me to the prom. Crisis averted. Glad to see you have time to write posts again. I especially love the pictures in this one. I remember those days. Some things we just never forget!! You were beautiful then as well as today.